[Nagpure et al. 2013]), Plant microsatellite database (Yu et al. 2017), or have information for a limited number of species. In addition, many of the existing databases were released several years ago, and have not been updated with current sequence information. More importantly, the data is generally provided in a static tabular format (table 1B), which makes data exploration and observation of global trends cumbersome. Finally, no existing database provides a direct means to compare the microsatellite data of multiple species, making evolutionary analysis of these elements laborious and challenging. Using the available genome sequence information from NCBI, we created a database of SSRs from almost 7000 species that is thorough, up-to-date, and enables users to easily query and explore microsatellite data of several species simultaneously. species, the most recently modified file was downloaded. The species were organized in a hierarchical phylogenetic order based on the Kingdom, Group, and Subgroup they belong to. length of repeat were recorded (terms explained in fig. 1). NCBI uses unique IDs to name each chromosome/ scaffold in FASTA files. For example, the ID of human chromosome 1 in the current genome build is NC_000001.11. As these IDs are not directly meaningful to the user exploring the data, we developed a Python script that parses the sequence description in the FASTA file and extracts the chromosome/scaffold number wherever possible. This information was stored as the “colloquial” name of the chromosome, and is displayed to the user by default. The final output file was sorted by the chromosome order before it was appended to the database table. FIG. 1.—An example of AGAT repeat illustrating the details that were recorded by the custom repeat identification Python script. View The View page provides several interactive plots to analyze the SSR data of a single species. Repeat Frequency Repeat frequency represents the number of times a repeat has been found in the genome. The default bar plot shows the 10 most frequently occurring repeats in a genome, which can be changed to display any number of most or least frequent repeats (fig. 2A). A multi-select dropdown allows users to select repeats of their choice to be plotted on the bar chart. The plot can be further configured to be sorted either in alphabetical order of repeat classes (default) or in descending order of the repeat frequency. Repeat distribution plots the relative percentage of repeat frequency in the form of a pie chart. By default, the pie chart shows the percentage frequency of all repeats grouped together by the motif length (fig. 2B). Instead of frequency, users can choose to plot the total number of bases covered by each repeat or group of repeats. The plot can be customized to show only some repeats of interest by selection via the multi-select drop-down. Each pie slice can be toggled from the legend, upon which the percentages get recalculated based on the new total and the plot is updated accordingly. FIG. 2.—View page of MSDB showing various interactive plots from the repeat data of Homo sapiens. (A) Bar plot of the 10 most frequent repeats. (B) Pie chart showing distribution of repeat classes grouped by motif length (mono-, di-, tri-, tetra-, penta-, and hexamers). (C and D) Relation between the frequency and length of AT, AGC, ACAT, and AGAT repeats depicted as line and stacked-bar charts respectively. and maximum lengths to be plotted are customizable by the user. The display of repeats can be toggled from the legend. The relative frequency of the selected repeats at each length can also be plotted as stacked or grouped bar charts (fig. 2D). In addition to the above interactive plots, the View page provides a general summary of microsatellites in the selected species, including the total number of SSRs, most frequent repeat classes, and the longest repeats. Compare As a unique feature of MSDB, the compare page is designed for simultaneous and direct comparison of SSR data across several species. In the compare page, data of multiple species and/or repeats is plotted in separate panels next to each other. The plot options and controls provided are similar to that of the View page. In addition, plots can be grouped either by organism (all data of a species is plotted together in a single chart) or by repeat (data of each repeat across all selected species is plotted together). Data type can be chosen either as frequency (total number of repeats in each species) or as density (number of repeats per MB of genome). Plotting density instead of frequency is especially useful when comparing the data of species with drastically different genome sizes. The utility of this page in understanding the evolutionary trends of various SSRs is highlighted using the examples below. the length preference of AG is seen only in mouse peaking at 45 bases. AT shows an interesting trend: the length preference peaks at 45 bases and 70 bases in mouse and zebrafish respectively. Explore Users can use this page to explore the repeat data of the selected species in an interactive tabular format. By default, 25 repeats and six columns (Chromosome, Start, Stop, Repeat Class, Repeat Length, and Strand) are displayed. Columns can be added or removed using the “Show/Hide columns” button. The repeats can be displayed in ascending or descending order based on their length by clicking on the column header. In addition, users can filter the data using the text input boxes provided underneath column headers. As a convenience feature for primer design or further downstream analysis of a microsatellite, clicking on any repeat entry opens a modal with the repeat and its flanking genomic sequence. The flanks are 100 bp on either side of the repeat by default, and are customizable. To easily distinguish the SSR from its flanks, the repeat sequence is displayed in red font, while the flanks are in black font. Data can be exported as a TSV file using the “Export Data button” whereas the “Reset all filters” button clears the sorting order and any filters applied. Download Species-wise repeat data can be downloaded from the download page of MSDB, either in a plain text format or as a gzipcompressed file. Users begin by selecting the species of their interest via the familiar interface of dropdown menus and search bar. A checkbox next to the selected species can be used to specify whether the download should be in plain text or a compressed format. The downloaded file is in a tabseparated format, and all the columns that can be toggled in “Explore” table are included in the file. pre-computed data served as flat files. By isolating the frontend from backend wherever feasible, MSDB remains responsive and snappy, giving the user a lag-free experience while browsing the data. Most biological databases in general and existing microsatellite databases in particular present the data in simple static tabular format. As the number of SSRs in each species can be in millions, understanding species-wide data trends becomes tedious, error-prone and difficult. MSDB solves this issue via its plotting system which depicts genome wide trends as clear, concise and intuitive charts. At the same time, the interactive controls provided with each chart allow a fine tuning of the plotted data to assist researchers narrow-down on their interests. Combined with the ability to plot data of multiple species together, MSDB is a unique platform to perform comprehensive analysis of simple sequence repeats across species. Supplementary Material Supplementary data are available at Genome Biology and Evolution online. Acknowledgments The authors thank Nitin Rani for the initial prototype of MSDB, Surabhi Srivastava for critical reading of the manuscript, and all members of the RKM lab for beta-testing the website. This work has been supported by the network projects of Council of Scientific and Industrial Research (CSIR), India—BSC0208 (BioAge), BSC0118 (EpiHED), and BSC0121 (Genesis). Literature Cited Al-Mahdawi S, et al. 2008. The Friedreich ataxia GAA repeat expansion mutation induces comparable epigenetic changes in human and transgenic mouse brain and heart tissues. Hum Mol Genet. 17(5):735–746. Bostock M, et al. 2011. D(3): data-driven documents. IEEE Trans Vis Comput Graph. 17(12):2301–2309. Collard BC, Mackill DJ. 2008. Marker-assisted selection: an approach for precision plant breeding in the twenty-first century. Philos Trans R Soc Lond B Biol Sci. 363(1491):557–572. Ellegren H. 2004. Microsatellites: simple sequences with complex evolution. Nat Rev Genet. 5(6):435–445. Hearne CM, et al. 1992. Microsatellites for linkage analysis of genetic traits. Trends Genet. 8(8):288–294. Kumar RP, et al. 2013. GATA simple sequence repeats function as enhancer blocker boundaries. Nat Commun. 4:1844. Lander ES, et al. 2001. Initial sequencing and analysis of the human genome. 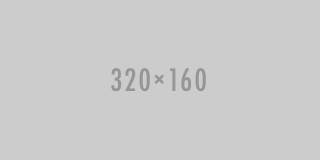 Nature 409(6822):860–921. Nagpure NS, et al. 2013. FishMicrosat: a microsatellite database of commercially important fishes and shellfishes of the Indian subcontinent. BMC Genomics 14:630. NCBI Resource Coordinators. 2016. Database resources of the National Center for Biotechnology Information. Nucleic Acids Res. 44(D1): D7–D19. Pathak RU, et al. 2013. AAGAG repeat RNA is an essential component of nuclear matrix in Drosophila. RNA Biol. 10(4):564–571. Ramamoorthy S, et al. 2014. Length and sequence dependent accumulation of simple sequence repeats in vertebrates: potential role in genome organization and regulation. Gene 551(2):167–175. Toth G, et al. 2000. Microsatellites in different eukaryotic genomes: survey and analysis. Genome Res. 10(7):967–981. Usdin K. 2008. The biological effects of simple tandem repeats: lessons from the repeat expansion diseases. Genome Res. 18(7):1011–1019. Simple sequence repeats in bryophyte mitochondrial genomes. A comprehensive characterization of simple sequence repeats in pepper genomes provides valuable resources for marker development in Capsicum. A Comprehensive Characterization of Simple Sequence Repeats in the Sequenced Trichoderma Genomes Provides Valuable Resources for Marker Development. Evolution Analysis of Simple Sequence Repeats in Plant Genome. The Cipher Code of Simple Sequence Repeats in "Vampire Pathogens". Survey and analysis of simple sequence repeats (SSRs) in three genomes of Candida species. Characterisation data of simple sequence repeats of phages closely related to T7M. Survey and analysis of simple sequence repeats (SSRs) present in the genomes of plant viroids. Genetic variation of Sargassum horneri populations detected by inter-simple sequence repeats. Genetic diversity of Sogatella furcifera (Hemiptera: Delphacidae) in China detected by inter-simple sequence repeats. Incidence, complexity and diversity of simple sequence repeats across potexvirus genomes. Genetic characterization of Iranian safflower (Carthamus tinctorius) using inter simple sequence repeats (ISSR) markers. Outlier Loci and Selection Signatures of Simple Sequence Repeats (SSRs) in Flax (Linum usitatissimum L.). Genome-Wide Analysis of Simple Sequence Repeats in Bitter Gourd (Momordica charantia). Corrigendum: The Cipher Code of Simple Sequence Repeats in "Vampire Pathogens". Fourteen simple-sequence repeats newly developed for population genetic studies in Prosopis africana (Fabaceae-Mimosoideae). A review of the prevalence, utility, and caveats of using chloroplast simple sequence repeats for studies of plant biology. Selection processes in simple sequence repeats suggest a correlation with their genomic location: insights from a fungal model system. Optimal computation of all tandem repeats in a weighted sequence. Expressed Sequence Tags Analysis and Design of Simple Sequence Repeats Markers from a Full-Length cDNA Library in Perilla frutescens (L.). Distinct patterns of simple sequence repeats and GC distribution in intragenic and intergenic regions of primate genomes. Determination of Genetic Diversity Using 15 Simple Sequence Repeats Markers in Long Term Selected Japanese Quail Lines. Genome wide characterization of simple sequence repeats in watermelon genome and their application in comparative mapping and genetic diversity analysis.